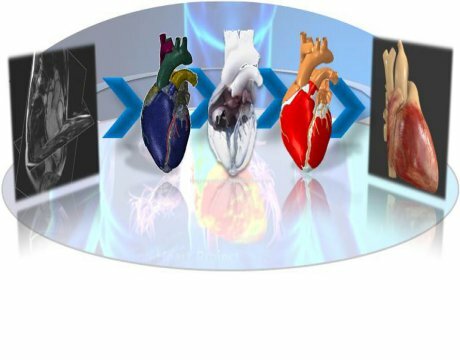 Attend this webinar to discover how Simpleware software and/or services can be leveraged to generate high-quality human body models from sources like MRI and CT image data. In partnership with SIMULIA. Fee: The workshop is free, but pre-registration is required as seats are limited. strong technology portfolio. Watch the full video to find out more! Take our user satisaction survey and tell us what you think! Read more about YOUR OPINION MATTERS! Optimize products for weight, performance & eco-efficiency. Download whitepaper on Tosca structure! improve your products, as well as your development process. Read more about Optimize products for weight, performance & eco-efficiency. Download whitepaper on Tosca structure! Why should YOU attend the SIMULIA Community Conference? PAST ATTENDEES!!!! Tell us why you love the SCC. Read more about Why should YOU attend the SIMULIA Community Conference? SIMULIA is more social than ever before, and the lines of communication are wide open! Join in the fun, tell your friends, and chat with us whenever/wherever! As they say, "The phone rings both ways," the same sentiment applies for social media. We want to hear from you! What do you want to see? What do you like? What do you want more of? Tell us! Read more about SIMULIA Goes Social! Interested in learning how to automate multi-step simulation workflows? Read more about Interested in learning how to automate multi-step simulation workflows? Missed the SIMULIA XFEM eSeminar? No worries! Check out the recording and learn how Abaqus FEA provides proven robust capabilities for modeling bulk fracture and crack propagation in many materials. One of the newest techniques available in Abaqus is the eXtended Finite Element Method (XFEM) whose advantages over alternative approaches include mesh independent crack definition, improved convergence rates for stationary cracks, simplified mesh refinement studies and more! Read more about Missed the SIMULIA XFEM eSeminar? Early Bird gets the...... Discount! Way less gross than worms ;) Register today for the SIMULIA Community Conference and save $200! Read more about Early Bird gets the...... Discount! STOP! Hey, what's that sound? Everybody look what's goin' down............. in the SIMULIA Learning Community! advocates, academics, commercial customers, researchers and more! Read more about STOP! Hey, what's that sound? Everybody look what's goin' down............. in the SIMULIA Learning Community! SIMULIA Community Conference adds Academic Poster Session! ACADEMICS! It's your chance to shine: Submit a poster to be considered for display at the 2014 SCC. All submissions will receive a FREE t-shirt (while supplies last) :) If chosen, you'll have the chance to see and be seen by top professional in the industry. Good luck! Read more about SIMULIA Community Conference adds Academic Poster Session! best in class Abaqus product line within a high performance environment. Dassault Systèmes welcomes Safe Technology! We're very pleased to announce that Dassault Systèmes has acquired Safe Technology, Ltd., the developer of the fe-safe durability simulation application suite. Read more about Dassault Systèmes welcomes Safe Technology! I can't pipe down about this new Tech Brief!